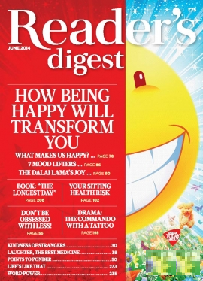 The September 2014 issue of Reader’s Digest India reached us quite on time, and here are our personal view and reviews for the same. The purple color background makes the cover page interesting looking and the it says that there is a themed article about health and heart. The react section (it contains reader’s reactions for the articles in previous issues) is interesting. Especially the reaction of a doctor (which one the prize as well) is really great to read. It is about how the doctor started seeing patients as human beings rather than just bed numbers. It remind you similar incident(s) from Hindi film – Munnabhai MBBS – as well. One other doctor’s reaction is quite genuine too, he says that he avoid any argument with family members on operation days, so he can be fresh when operating patients. Such genuine gestures make them better human beings. Written by Snigdha Hasan, an article about Shenaz Hilluwala is an interesting read. The genius jokes are not for everyone. Mohan Sivanand (the editor)’s interview with Sir Tim Berners-Lee (the man who created the WWW – the World Wide Web) is not to miss reading material. The case of a stern shopper – is what a lot of us face at various stages of our life. It is about the store’s policy that – the good once sold, will not be taken back – printed on the bills as well, is fair or unfair. What do you think? 29th September is celebrated as World heart day. On this day, the themed article is printed under the – Art of living – section. 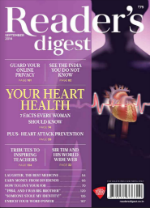 The article explores the way to prevent heart attack and live healthy life. Mostly elder will find this article interesting, but the young ones also should read it once. It will not only help them to be ready to help their elders but also help them update their life style to have healthy future as well. There is one more article focused on women and the care of the heart they need to take, is also a good read. Cash on Dividend is good small article to read for money management stuff. The article about – lost luggage – while travelling (focused on air-travelling) is written like a news article. Printed under – Technology – segment, the article from New York Times – is rather an emotional story, which you will like to read once. The India you don’t know – is a tourism oriented article, which is written with good research and based on some personal experiences of the tourists. It also covers wide area of India. Those who are travel buffs, shouldn’t miss it. My sainted mother – is spirituality oriented article and those who love such reading, will like to go for it once. Fire in the sky – this real life drama is thrilling. It is written in nice manner and the pictures associated with the article makes it even more worth reading. You will enjoy reading it. The tree that survived 9/11 – is an inspirational article which is written to wake the hope in people. 1984 – and I was a big brother – is about the human feelings, qualities and experience of an army officer, don’t miss it. Thats’s Outrageous – section talks about how the claiming wrong LTC bills (overpriced travelling expenditure bills) is seen even in MPs as well. An article about – Identity Theft – is almost a must read. The practise is not only criminal but dangerous for the victim. And with the rise of technologies it became quite easy for those who are intelligent but want to use their genius in wrong way, to do such crime. The dos and don’ts mentioned in the article are something you should not skip reading. Also the 12 tips given for online privacy, in a different article should be read along with this one. 5th September is celebrated as the teacher’s day – and the article about – the Guru – brings some nice memories for various teachers. The article is good to read. Beyond fame or fortune – is an article about – George Washington Carver. This issue contains first segment of the article. It is written nicely and will make you await for the second segment of the same in the next issue. In addition regular sections are there, making the the magazine issue rich enough to go for it for sure.